After a seven-year legal battle America's largest religious media company no longer faces the prospect of violating its faith to comply with Obamacare's contraception mandate. The 11th Circuit Court of Appeals approved a settlement agreement between the Eternal Word Television Network (EWTN), a station founded by Catholic nun Mother Angelica of the Annunciation and the Department of Health and Human Services. 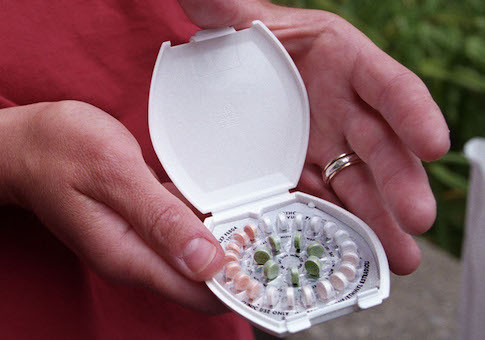 The court tossed a 2016 court order that would have forced the organization to comply with Obamacare's mandated healthcare coverage of birth control and abortifacients prohibited by the Catholic Church. EWTN CEO Michael P. Warsaw said the dismissal should have come years earlier. "It shouldn't take years to prove the obvious: you can't tell a religious media network to say one thing and do another," he said in a statement. "We are grateful that—finally—EWTN no longer has to worry about being forced to choose between massive fines and following our faith." In October the religious network filed a brief seeking to dismiss the case and allow it to resolve the dispute after the Trump administration indicated it would reverse the Obama administration's attempt to force compliance. "The Government has abandoned and rejected the defenses it used to argue against EWTN's claims," the motion said. "As a result of the Government's 180-degree change of position, the parties have reached an agreement to resolve the remaining issues between them." The Obama administration had granted narrow exemptions to churches opposed to the birth control mandate, but fought against other religious organizations, including nuns from the Little Sisters of the Poor and other non-profits that sought similar protections. The agency did not oppose EWTN's petition, indicating that it no longer wished to continue the case. In November, HHS issued a final rule extending religious liberty and conscience protections to to small businesses, non-profits, schools, and religious organizations—though publicly traded companies must still comply with the mandate set forth in the Affordable Care Act. EWTN was represented by the Becket Fund for Religious Liberty, a non-profit public interest law firm. Senior Counsel Lori Windham said the closure of the case will allow workers at the network to live up to the ideals that they advocate for on the airwaves. "EWTN lives by its Catholic faith all day every day, expressing its beliefs worldwide in TV, radio, and print," she said in a statement. "We are glad that the government and the courts agree that it can continue doing that without being forced to violate its faith." The agency did not respond to requests seeking comment about the case.